It’s May 16th and today is the day the Senate will vote on whether or not to reverse last December’s repeal of network neutrality rules by FCC Chairman Ajit Pai and other Republican FCC Commissioners. As a reminder, we thought this was a good day to pull out the maps we created that illustrate how that decision to repeal the federal policy put at least 177 million Americans at risk. Without network neutrality protections in place, these folks are limited to obtaining broadband Internet access only from providers that have violated network neutrality or have admitted that they plan to violate network neutrality tenets in the future. Back in December 2017 when the current FCC made it’s misguided decision, we decided to take a look at the data and create visualizations to paint a picture of what they had done. We used Form 477 data, which tends to overstate coverage, so the problem in the field is likely more severe than the maps indicate. The results aren’t pretty. At least 129 million people have only a single provider from which they can subscribe to broadband Internet access. The FCC defines broadband as 25 Mbps download and 3 Mbps upload. Out of those 129 million Americans, about 52 million must turn to a company that has violated network neutrality protections in the past and continues to do so. In some places, the situation is a little better. There are 146 million Americans with the ability to choose between two providers, but 48 million of those Americans must choose between two companies that have a record of violating network neutrality. We also zeroed in on two areas of the country that include both populous and rural areas. We found that it doesn’t matter if you live in a city or in a small town, without network neutrality rules in place, a person’s options of broadband Internet access are negatively impacted. Approximately 74 million Americans live from Virginia to Maine. Nearly 15 million of those people will soon be limited to a single broadband provider that has already violated network neutrality. 15.5 million can only choose between two providers that both violated net neutrality. Another 3 million have no broadband Internet access available. 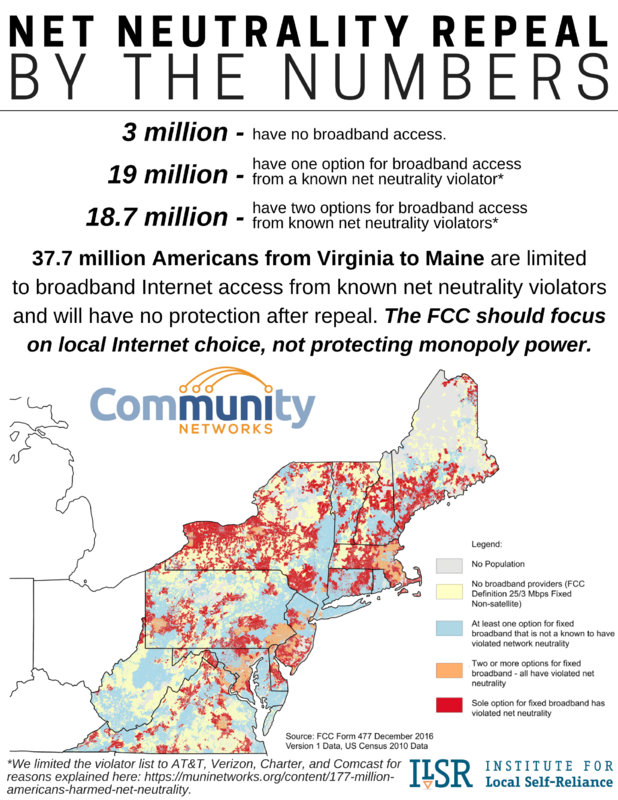 Download Net Neutrality Repeal By The Numbers, East Coast Edition, fact sheet here. 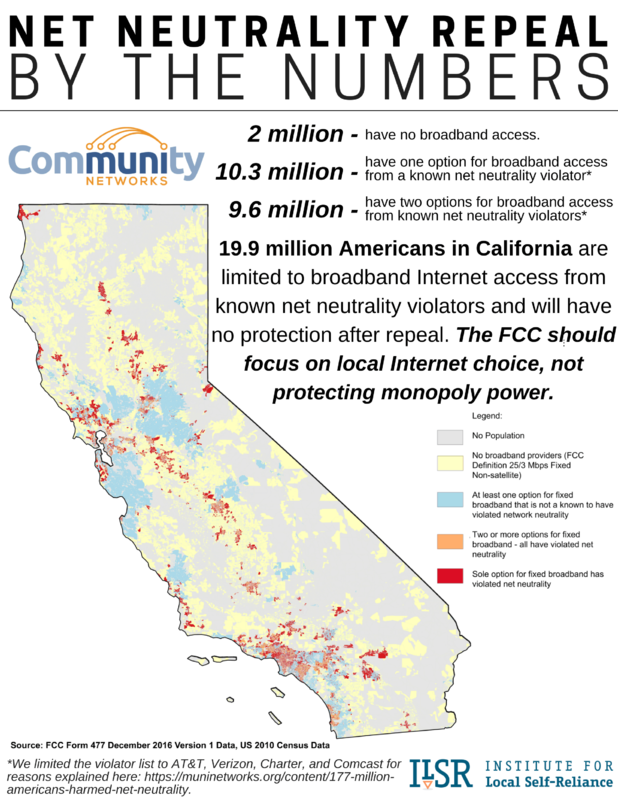 Download Net Neutrality Repeal By The Numbers, California Edition, fact sheet here. Of the 39 million people who live in California, about 10 million have only a single choice for broadband Internet access and in those cases, that company has violated network neutrality. Another 9.5 million Californians have two options for broadband Internet access but both have violated network neutrality. Two million people in California have no broadband access. 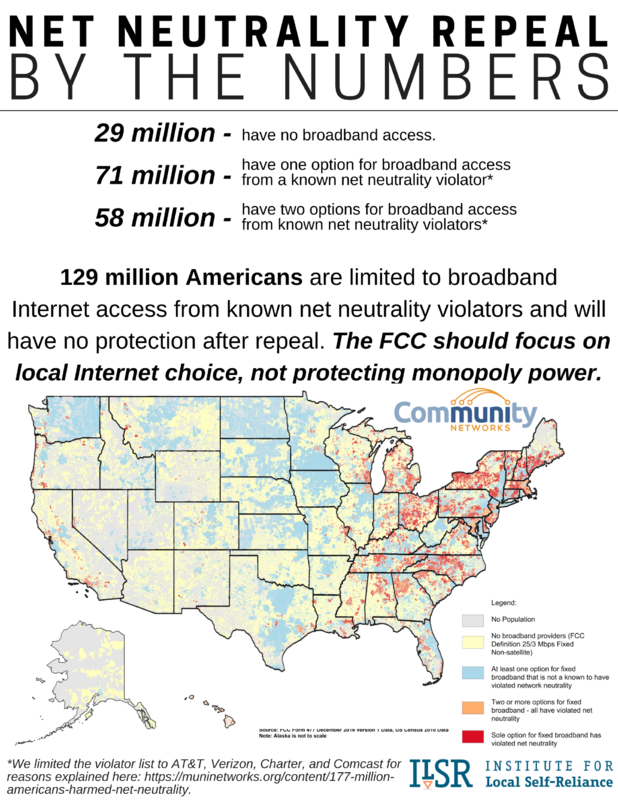 When the FCC repealed network neutrality, the 129 million Americans with no choice in providers joined the 48 million with a choice solely between past violators and another 29 million Americans lacking broadband altogether to total 206 million Americans who have lost federal protection and now are at the mercy of of massive cable and telephone monopolies. Read more details about the risks the FCC have created for a huge swath of Americans in our original story on the data we analyzed. Democrats in the Senate have expressed support to repeal the FCC decision in order to restore network neutrality. They’re using the Congressional Review Act (CRA) as a tool to attempt to reverse the decision. Under the CRA, Congress can reverse the FCC decision within 60 legislative days of it being published in the Federal Register as long as there is a majority vote. At last count, 50 Democrats and one Republican had vowed to support reversing the FCC decision to repeal network neutrality. 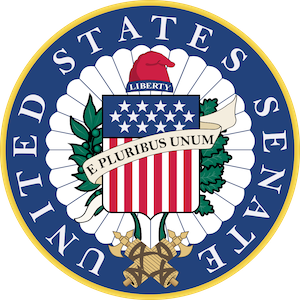 Republican Sen. John McCain is absent, which may create the needed majority to pass the resolution. The situation in the House is more precarious due to the Republican majority. Without a repeal of the harmful FCC decision, network neutrality protections will formally disappear as of June 11th.